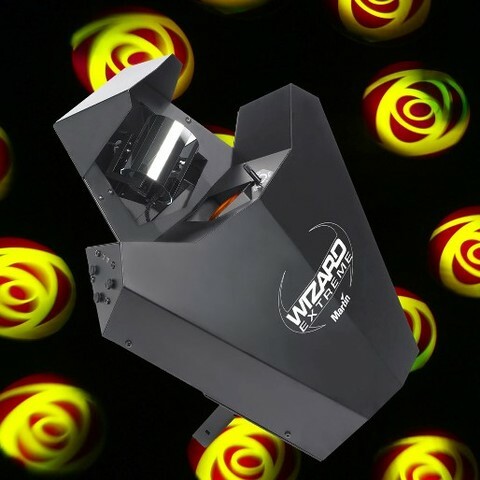 The Wizard Extreme is a 250 W discharge light with rapid movement, over 80 color and gobo beams and a shutter for rapid strobe effects. Thermal Cooling: Forced air Maximum ambient temperature (Ta max. ): 40° C Maximum surface temperature, steady state, Ta=40° C: 80° C Total heat dissipation (calculated, +/- 10% at 110 V, 60 Hz / 230 V, 50 Hz): 1060 / 1090 BTU/hr.